That phrase is more than just a song title. Or for that related matter, from a great 80’s song. It’s something that I really try to live each day. Most days these past 5 years have been a bit of a struggle, increasing in difficulty as each year passes. It’s been a good 10 months since I last blogged here. I have never wanted this space to go this long without a post. There might come a day where I will revive this place. I WON! – I WON! – I WON! The company that this blog is hosted on – DreamHost – recently had a contest where they did a multi-day giveaway. I decided to enter on the last day and to my surprise, I won. The last winner of the #Hashtag Holiday Giveaway is @martymankins! Please contact social[dot]dreamhost@gmail[dot]com to claim your prize! The prize for this last day was a Kindle Fire HD7. Sweet! This was my Tweet that was randomly picked as the winner. So now I wait for my prize. Thanks DreamHost, for being a great place to host this blog. I’ll be moving over my main blog the first of March 2015. 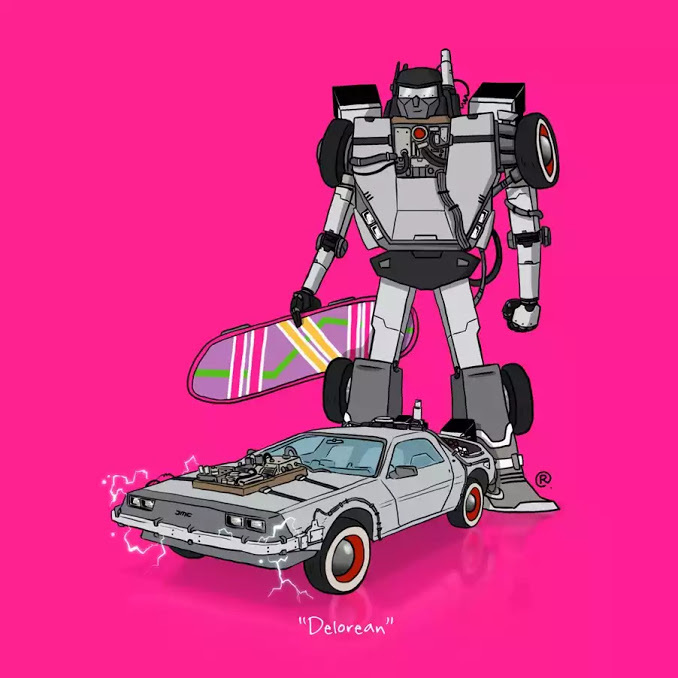 Darren Rawlings has created these awesome posters that take a vehicle from a movie, TV show or event and turn it into a Transformer. Of course, my favorite is the DeLorean from Back To The Future. Check out his Tumblr page for many more cool creations. The infamous animated cat and mouse are making their return to Cartoon Network on April 9th. While nothing can touch the Tex Avery classics from decades ago, I’m curious to see how the new episodes will work. Familiar voices Simon Helberg (The Big Bang Theory) and Jason Alexander (Seinfeld) should help make this reboot enticing to us older folk that loved the originals. Check out a video clip at the following EW.com site. The sneak peak video shows off new animation, but some based on the original cartoons with some updated slapstick gags that are typical for what Tom and Jerry have been known for. So all of your Tom and Jerry fans, mark your calendar for April 9th on Cartoon Network. For those who want the classic episodes, tune in weekdays at noon. Oreo has two new flavors coming out. And they did a Twitter giveaway last night during the Grammy awards show. 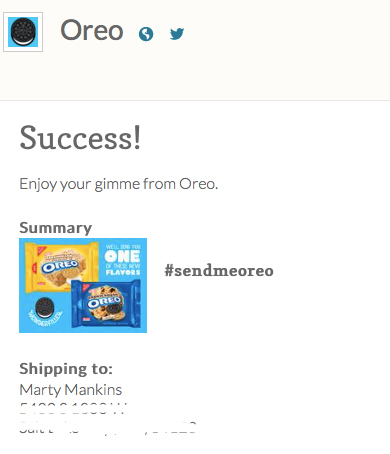 Using the hashtag #sendmeoreo I sent a tweet and got a reply within a few minutes. Clicking the link in the tweet, I filled out shipping information and got the above response. So it appears they will be sending a package containing the new Oreo flavors of Cookie Dough and Marshmallow Crispy. Once I get the prize pack, I will be reviewing them over on my main blog, adding to my other reviews of previous Oreo flavors.